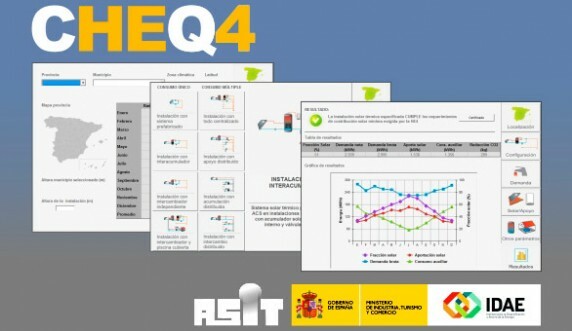 The Institute for Energy Diversification and Saving of Energy (IDEA) and the Solar Thermal Industry Association (ASIT) have developed CHEQ4, a computer program that is freely available in order to provide all actors in the sector Solar thermal energy of low temperature application, enforcement and evaluation HE4 section included in the basic requirement of the Energy Saving HE Technical Building Code. CHEQ4 allows gettting the solar coverage a particular system provides on the energy demand of a building for the production of hot water and pool heating, introducing a minimum design parameters associated with each configuration. The program, after obtaining solar system coverage, checks compliance with the minimum solar contribution defined by the requirement of HE4, and can generate a justifying report from the quickly and easily obteined results. CHEQ4 besides the report also generates, a verification document, in which it lists the main parameters of the installation, so they can be checked by the actors involved in tasks of monitoring the implementation of the facilities. 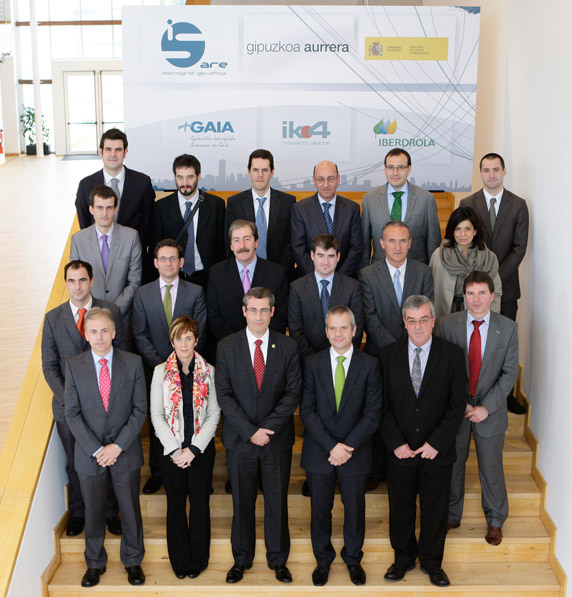 The favorable report generated by the application is enough to prove compliance, from the energy point of view, from the requirements obteined in HE4 section.